greenbuildingelements.com. January 2015. According to Click Green, hay bales can make an affordable, energy efficient, and sustainable tiny house that can keep you and yours safe and warm far off the grid. The bales have 75% more insulating power than a traditional stud wall filled with fiberglass insulation, and are non-combustible because they have little to no oxygen inside. 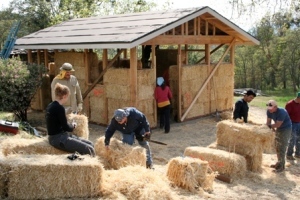 To begin, frame the dwelling as you would a “conventional” tiny house‘s post and beam structure, then fill in the openings with the hay bales. They should be stacked on top of a cement footing (or foundation) in order to prevent moisture seeping into the straw. Setting some protruding metal pieces into the cement will help lock the bottom bales in place and prevent them moving around. jetsongreen.com. January 2015. Tiny homes can quickly turn out too cramped, resulting in claustrophobia. 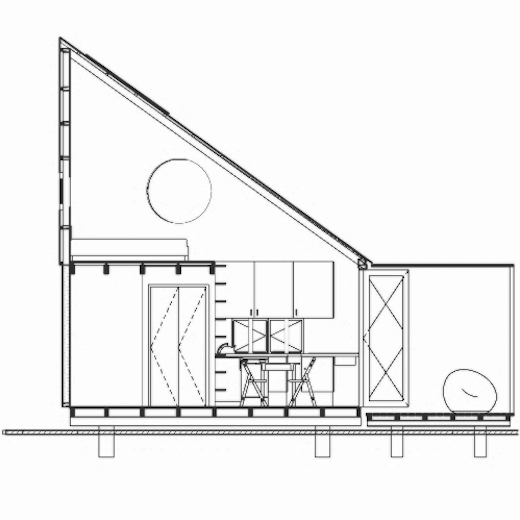 But when done right, these houses are a great way to live sustainably and affordably. The latest example of tiny home architecture done right comes from South Africa in the form of the lifePOD, designed by a team of architects called Collaborate000. They were assisted by product designers Dokter and Missses. The designers took into consideration the local climate when creating this home, and came up with a functional, comfortable and affordable tiny home, which is both a dwelling and a lifestyle choice. The home can also be customized according to the owners’ wishes and specifications since the entire system is modular. It can serve as a primary residence, cabin, backyard office or guesthouse. prospectmagazine.co.uk. January 2015. If I ruled the world, all our towns and cities would be civilised places, with well-designed and maintained public spaces for the meeting of friends and strangers. I believe that shelter is a basic human right, alongside food, education and health, and that it is about more than basic dwellings. It includes the design of buildings and public spaces, and of the cities that form the heart of modern life. So it is scandalous how little attention we pay to the streets, squares, playgrounds and parks that make up our public realm. The right to shelter should include a right to well-designed and maintained public space. Everyone should be able to see a tree from their window, or have a bench to sit on. Within a few minutes walk, you should be able to reach a small town square, park or a playground, with a few trees, benches for conversation and swings and roundabouts for children. A few minutes further and you should be in one of the magnificent parks that form the lungs of our cities; places to join friends for picnics, to walk dogs, to admire spring blossom, to meet strangers, to play softball or frisbee, or simply to spend time alone with your thoughts. And walking and cycling in the city through parks or well-paved streets is a pleasure, whether on the way to work or simply taking a stroll. I once met a man in Verona, who told me he had moved there from Naples specifically because the beautiful streets there gave him the pleasure of the perfect evening passeggiata. When we visit new towns and cities, from Bath to Barcelona, it is the streets and squares that form the heart of our urban experience. The buildings may be beautiful in themselves, but it is the public spaces that they frame and form that create the city, forming the glue between buildings. uitp.org. January 2015. 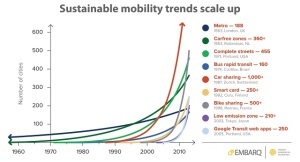 Numerous cities world-wide are thinking of, or have written Integrated Mobility Plans (IMPs). The objective of this seminar is to share best practice on how to turn plans into reality and how technology can help to make cities smart. An Integrated Mobility Plan provides a vision for successful urban mobility, and ensures that people and places can connect, now and in the future. Speakers in this seminar will share with the audience how they managed to be successful in these five areas and demonstrate the benefits Integrated Mobility Plans brought to their cities. An interactive breakout session will allow participants to sharpen their knowledge in these areas, and a panel session on Smart Cities and the role of technologies will give the audience precious insights to understand what challenges lie ahead. 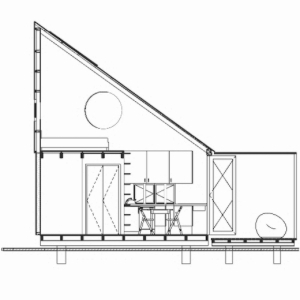 Artist Dan Reed Miller built a tiny house before tiny houses were all the rage. Inspired by Thoreau, Dan wanted to see if he could live simply in the city without the clutter and extra things that come with modern living but just aren’t necessary. In 2006, he got a chance to experiment with the idea. His friend Debbieanne had just bought a house in the quiet north Portland neighborhood of Kenton and she wanted to build something like a yurt in the back yard. A light bulb went on in Dan’s head and he asked “what if I build a cob house?” Build it he did, with his own two hands and with the help of many people. And after eight years of living in it, he fulfilled his dream of carrying out a Thoreau-inspired experiment in simple living. “I was just enamored of cob. 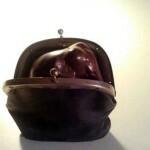 It’s earthen, it’s literally made of the earth,” says Dan ecstatically. 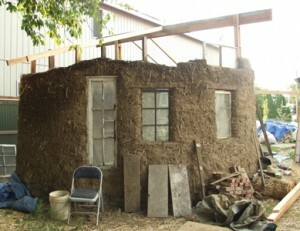 In 2006 he had taken a workshop on cob building at the Cob Cottage Company in Coquille, Oregon with the legendary ecologist, landscape architect and natural builder Ianto Evans and others including Kirk “Donkey” Mobert and Ernie Wisner. In the intense hands-on week long workshop with the man who reintroduced cob to the modern world, he learned the technical dos and don’ts of how to build a cob structure. Cob is a lot like adobe but with one major difference. Both are made of clay, sand, straw and water. 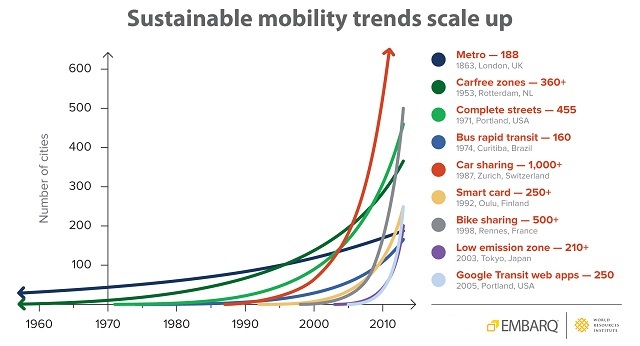 Sustainable mobility solutions continue to grow as cities move away from auto-dependency. Graphic by EMBARQ (2013). thecityfix.com. January 2015. With urban growth come a number of opportunities to positively transform our cities. And while the unique challenges faced by city leaders are shaped by local contexts and histories, their actions reveal broader trends in how cities worldwide are changing to better serve their residents. Supported by a combination of political leadership, citizen innovation, and global knowledge networks, 2014 was a year of remarkable progress for urban sustainability. So, what moved the dial on sustainable cities in 2014? These three major trends are ones to watch for the future of our cities. More than ever before, building socially, environmentally, and economically sustainable cities was a priority issue for the international community in 2014. Although discussions around global development typically take place among national leaders, action often begins at the city level. In many cases, the ambitious, innovative local actions city leaders take are taking have done more to advance sustainable development than national actions.